This has been an interesting week for us. My children were off school on Wednesday for Yom Kippur. Yom Kippur or Day of Atonement is the holiest day of the year in Judaism. This is our first time living in a part of the country with a strong concentration of Jewish people, so it was a good opportunity to learn more about Judaism. On Monday I wrote about Maple Glazed Apple Pull Apart Bread. You should really try it. If I’m not feeling lazy, you can come over and I’ll bake it for you. On Wednesday I shared my latest DIY project: leather drawer pulls! I do hope it inspires you to creatively problem-solve your way through a project. All my Oregon friends! Special announcement!! 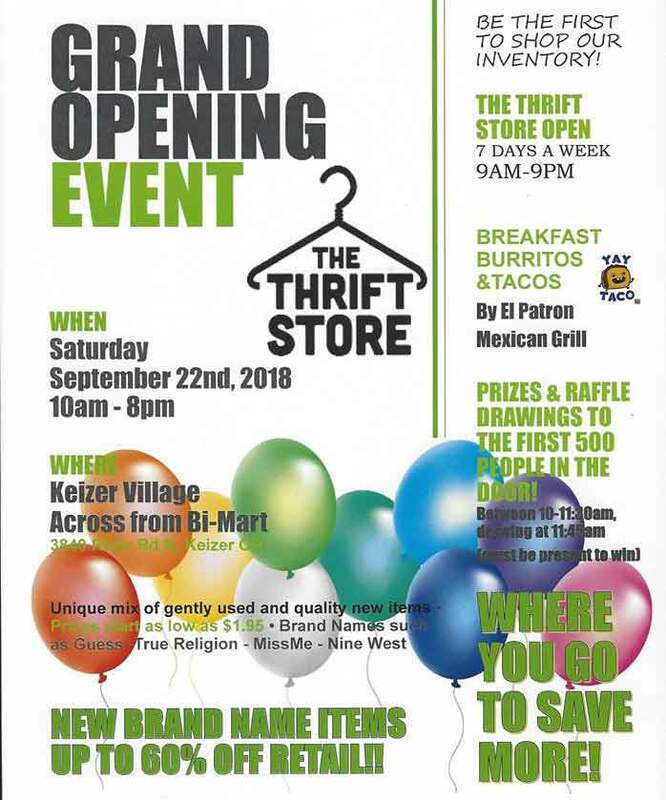 Friends of ours are opening a thrift store in Keizer and the grand opening is TOMORROW, September 22! The store is appropriately called, The Thrift Store, and it is located in the old Goodwill building across from the BiMart parking lot in Keizer. They are on Facebook. Here’s an article about it from the Keizer Times. The store is partnered with Big Brothers and Big Sisters Foundation. Since I can’t be there, go check it out and give them some love for me! 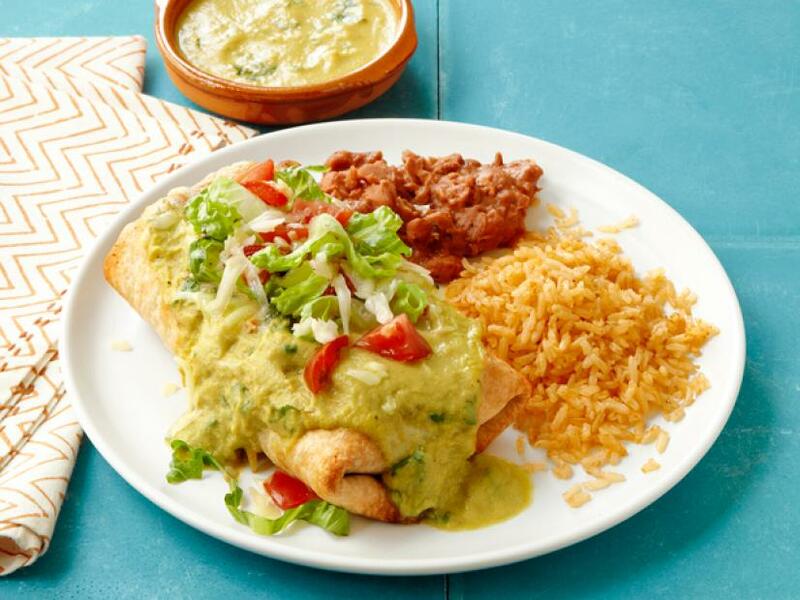 If you’re going to have a chimichanga, isn’t the point to have that flaky, fried tortilla goodness? Asking for a friend. But! This Baked Chimichanga recipe by Food Network does make me curious. Plus, there’s a tiny bit of cinnamon in the recipe. Hmm. Even curiouser. A company started by an 18-year-old (EIGHTEEN!! He’s 24 now.) 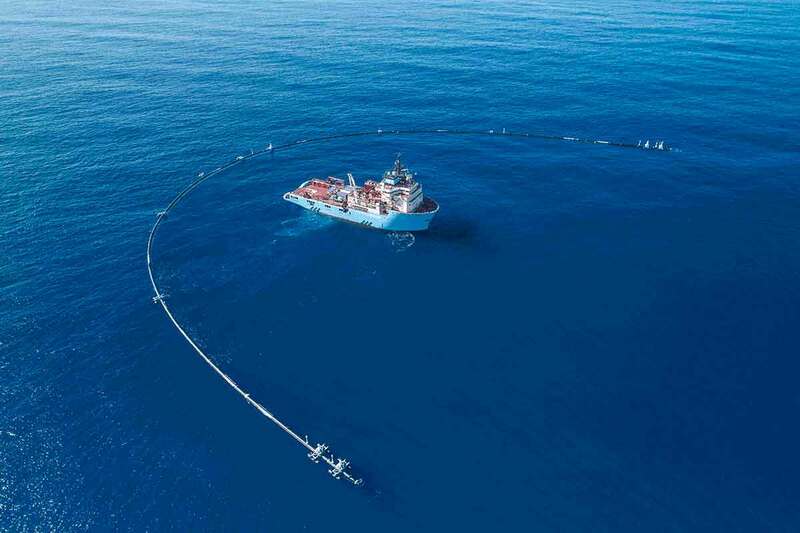 has just launched its first full-scale system to cleanup the Great Pacific Garbage Patch. This patch of garbage is halfway between Hawaii and California and it is twice the size of Texas. Yes, TWICE the size. The idea is that beaches are good at “catching” garbage, so if they can make a floating coastline of sorts in the ocean they can round up the garbage and then extract it. If you want to learn more about this effort or follow along on their progress, you can visit The Ocean Cleanup here. My kids and I watched the videos of how the cleanup system is supposed to work and I love that we could talk about these big problems together. And we were all inspired by one young person’s vision to make the world a better and cleaner place. I was innocently reading the October issue of Country Living magazine when I noticed a distressed metal table in one of the articles that had incredible detailing I don’t see regularly. Then I looked closer and realized they sell this table on Amazon! Go figure. According to the comments section, this is a Magnolia piece and was see on Fixer Upper, but I can’t confirm that. It does look like something Joanna would style up to look like a million bucks though! Yes, House Beautiful. I wonder the same thing. Where's the busted IKEA bowl? And the tupperware?? See this pretty picture from Sarah at Grace In My Space? Now look closely at the ceramic crock. Have you ever seen one with a base like that? I’m not sure if it’s connected or if she lucked out with finding a base that perfectly fits her crock. Either way, GORGEOUS! I think you’ll like pictures of her home, so check those out. Please take the time to read the caption on this Instagram post by Life In Our Old House. I’m fairly certain many of us will relate to this. Or perhaps it will trigger a memory or two from your grandma. Unfortunately, I don’t wear aprons and my kids will probably never know the magic of one. Wasn’t that beautiful? Who has an apron memory? 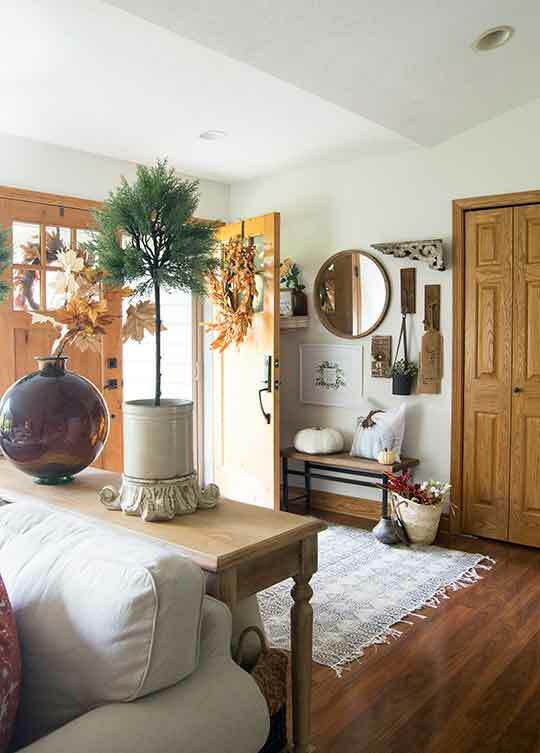 Did you catch the fall home tour by Lolly Jane? It was pretty fantastic and you should check out all the details! Who are we kidding? I love them both. And I think the pictures are encouraging me to start pulling out a pumpkin or two for fall! Maybe I’ll even make a wreath. Crazier things have happened around here! And to my daughter’s best friend in Oregon, HAPPY BIRTHDAY! I hope it is a great one. You brought my attention to something that I didn’t know happened. I was surprised when the children were out of school because of Yom Kipper. I had never heard of that. However I think every religion has a right to celebrate according to their beliefs. What a good learning opportunity for your kids. I love both of the wreaths. 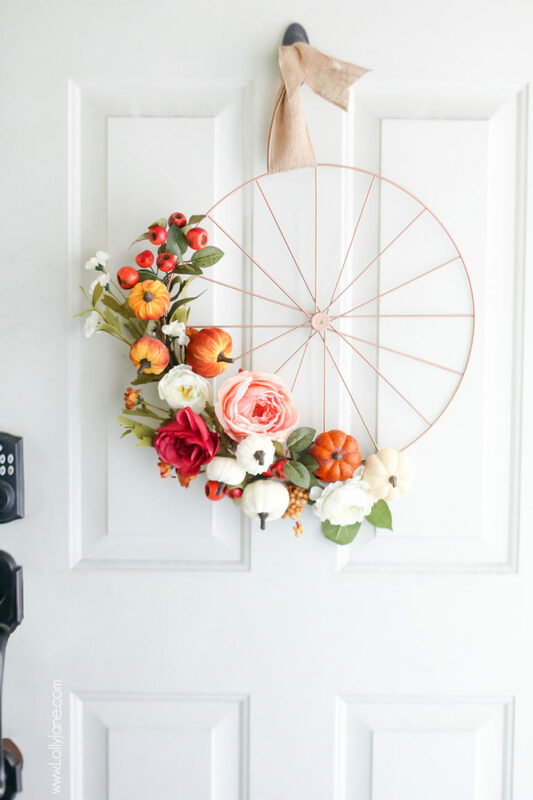 Maybe the bicycle wreath the best. Guess I shouldn’t have gotten rid of the extra bike wheel I had. Oh well maybe another time. It was a good learning opportunity. I believe there are a handful of states in the NorthEast that let kids out for Yom Kippur. I can bring you an apron if you want one.